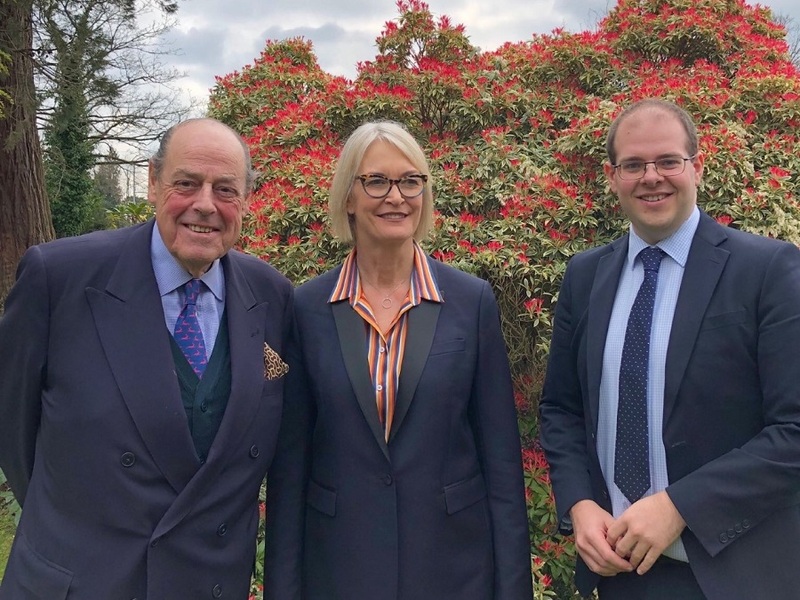 Margot James MP, Minister of State for Digital and the Creative Industries, met with Sir Nicholas Soames MP and Councillor Jonathan Ash-Edwards, Deputy Leader of the Conservative Group, on Friday 12th April. The Minister received an update on two projects to boost digital connectivity which have received enthusiastic support from the Government. £2.2 million has been secured by the District Council to install a full fibre network in Burgess Hill as part of the holistic growth of the town. This will ensure that new homes in the Northern Arc development will have fibre to the property as well as installing high speed connections to new business parks. The infrastructure will also bring thousands of households within close reach of a connection, making it easier for private providers to connect homes. Councils across West Sussex have also won the Government’s agreement to retain some business rates revenue in 2019/20 which will be pooled to create a full fibre network across the county. This funding could reach £19 million. Part of this network will run down the Brighton mainline, allowing connections to be taken into towns and villages throughout the Mid Sussex district. “I am very grateful to the Minister for taking the time to visit Mid Sussex and to hear how the investment in infrastructure being made by the Government is being delivered by our local Council. The Minister was very impressed by the work being done by the Council to make this happen quickly. Improving access to full fibre infrastructure will be a big boost to our local economy and people’s everyday lives”. “Mid Sussex is about to see the biggest upgrade in its infrastructure for a generation and these investments in full fibre connectivity are a key part of the package. In the modern day and age, a reliable high speed connection is essential for work, entertainment and business. Bringing a full fibre network to Mid Sussex will allow more towns and villages to be connected and stimulate the market so that private providers invest as well”.